As ministers prepare to make decision on application to lift the ban, pressure builds to keep neonicotinoids off our fields this summer. 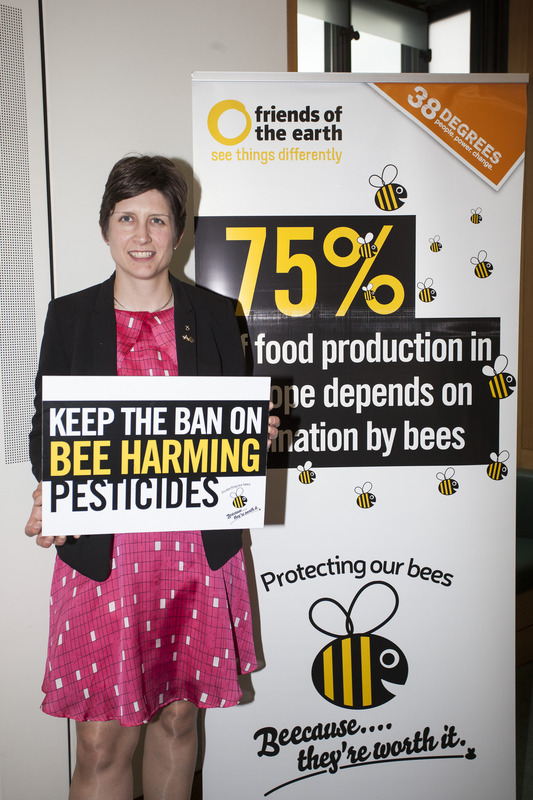 Alison Thewliss MP has added their name to a growing list of MPs who are opposed to lifting of the ban on bee harming pesticides. Neonicotinoids have been restricted across Europe since 2013 due to mounting evidence that they pose a risk to bees. Bees are responsible for pollinating two thirds of the food we eat. But the National Farmers Union (NFU) has applied to the government to lift the ban in some parts of the country. Ministers are currently considering their application. Ms Thewliss took the pledge to oppose the lifting of the ban at a Parliamentary event held this week, organised by 38 Degrees and Friends of the Earth. MPs heard new evidence from scientists and from a Lincolnshire farmer who had stopped using these pesticides before the ban. Vote for your favourite charities!